Did you miss my New House Tour – the Gross part and the Clean part? After all that cleaning, I still couldn’t get this hard water ring out of the boy’s toilet. That is until a wonderful reader (thank you Deborah!) told me her trick – a pumice stone!! I picked this one up at the dollar store and got to work. Here’s what it looked like before-it's clean I promise! It's just hard water/rust stuff I couldn't clean with a toilet brush. It didn’t take long at all and it came out perfect! Great results! This is why I love hearing from readers, thank you Deborah!! I never would have thought about using a pumice stone, thank you thank you thank you!! Thanks for the tip! I will remember that the next time my ring appears! Great idea! I just so happen to have a pumice stone in my cabinet! Thanks for the tip. I had to pin it. Hello Alex. This is such a great tip. Thanks for sharing. I am following you on twitter and via GFC. Would love for you to stop by and say hi. I used sand paper and that worked too. Good to know about the pumice stone. Thanks for sharing. Thanks for the tip! I have a ring that has been getting more noticable. I am going to try this since I only seem to flaten out the bristles from so much pressure while scrubbing. 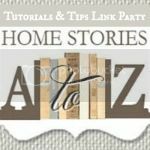 Visiting from The Thrifty Home Pinching Pennies link party. Wow, I never would've throught to try a pumice stone. Thanks for linking this up to Monday Funday! Wow. What an adventure! 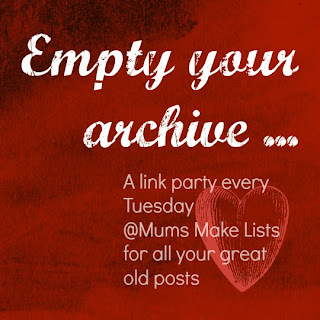 Thank you for linking it up at our linky party at www.FineCraftGuild.com ! Wow, this may be life changing for me! Thank you! Have a great holiday from the enchanted oven. I need to do this! ASAP! Game changer, for sure! Thanks for sharing! Oh my gosh, you answered my prayers! I've had this problem due to hard water FOREVER! I will be trying this asap, and I pinned it! If I try it and it works, I will post about it on our blog and link back to yours telling people how awesome you are. Oh very cool! So humbled to be the most viewed, I thought maybe I was the only one who didn't know this trick. hehe. Amazing! I needed to find this today, we are going to try this! Awesome, let me know how it goes!! I am totally going to try this today! Our basement bathroom is in dire need of a pumice stone scrub! hehe 'pumice stone scrub' makes it sound so luxurious! :) Good luck with those toilets! Please note in your post that the pumice stone MUST BE WET BEFORE you start scrubbing. If you use a dry pumice stone, you risk scratching the toilet. So long as it is wet, it will do a wonderful job of getting rid of the hard water deposits. Thank you Mary Alice, I edited it to say that. I don't remember if I dipped it in first or made the mistake of doing it dry. Thank you for clarifying that!! Thank you for this!! I'd tried using vinegar for ours (a Martha Stewart tip), but it wasn't getting the job done. I can't wait to try this. Is that weird? Bless your heart. I can't imagine that was very fun, but a clean looking toilet was worth it. Nope, not very fun at all. I did wear gloves, but I'm glad its gone! Thanks Melissa. I hope it works well for your friend. Have a great week! I'm curious, how long and hard did you have to scrub? I have a hard water ring on my toilets, and I was using a cheapie pumice stone. The pumice stone started to wear down, but the stain didn't budge. Do you think I should keep rubbing, rub harder, or get a better pumice stone?